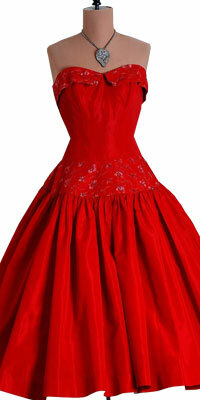 This dress has a sweetheart and strapless neckline with beaded flaps at the outline and embroidery on the waist. The skirt is puffed up and it looks like a typical vintage ball gown. 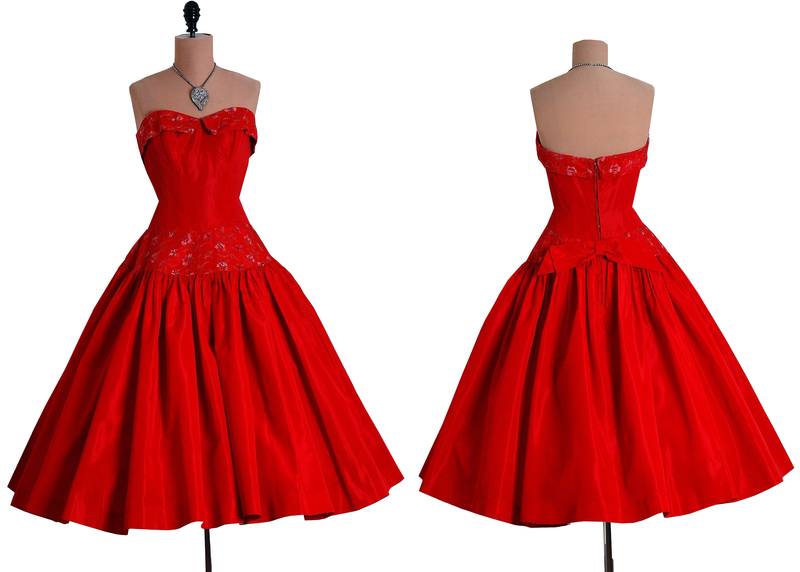 The color red adds a touch of sexiness to the dress.